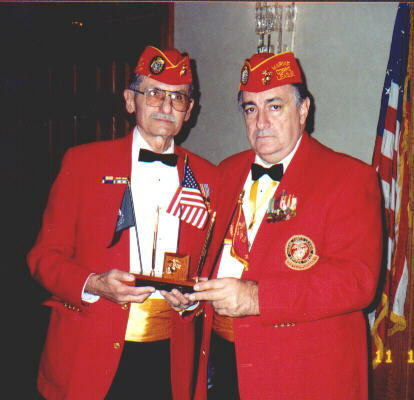 At the celebration of the 226th birthday of our Corps Joe Saluzzi (left) was honored as Marine of the Year of the Brooklyn No1 Detachment, Marine Corps League. 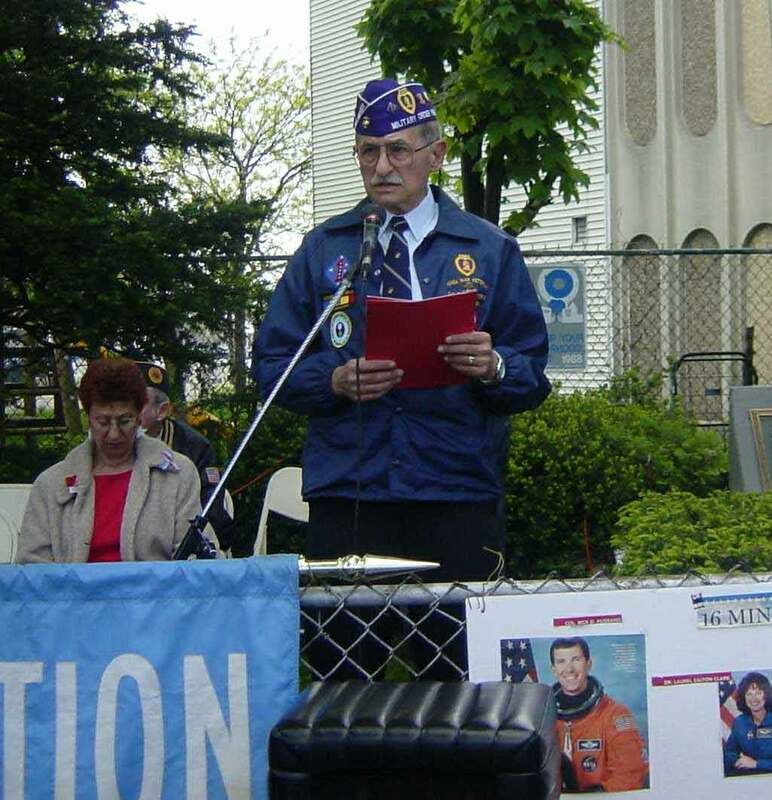 Presentation was made by past Commandant, M/GySgt Phil D'Angelo, USMCR (ret), on the right. 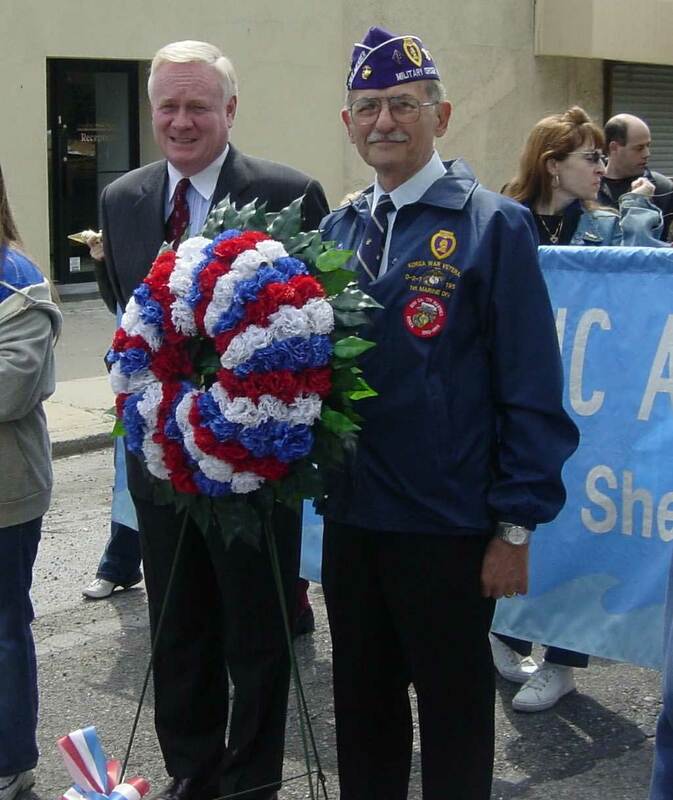 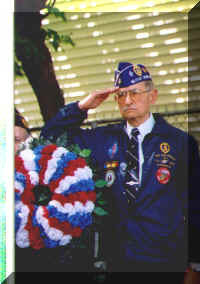 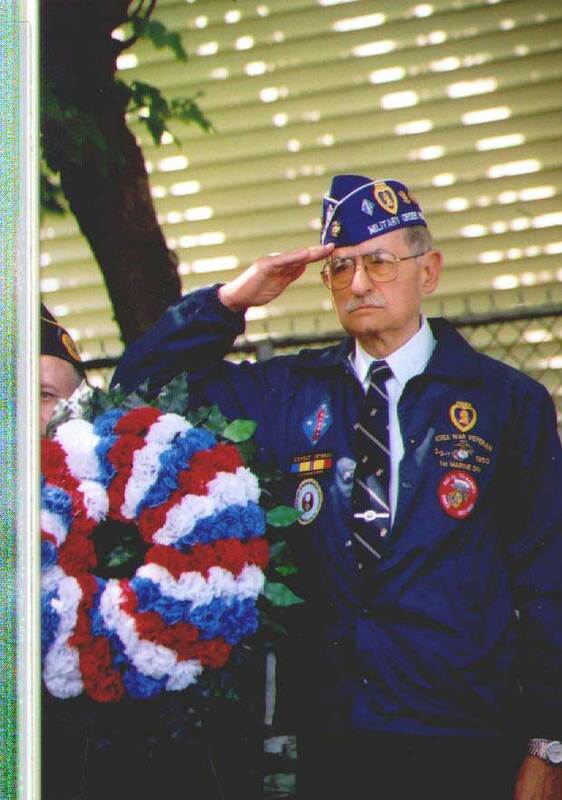 May 18, 2003 I was honored to be the Grand Marshall for the Sheepshead Bay/Plum Beach Association Memorial Parade. 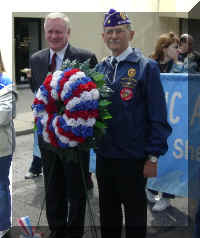 I represented the Military Order of The Purple Heart and Dog Seven Association at the recent local Memorial Parade. 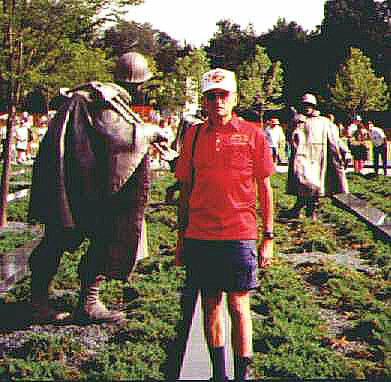 The Korean War Memorial dedication, July 27, 1995, Between two Marine machine gunners. 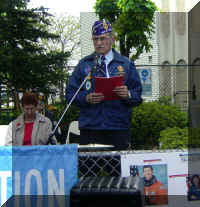 It was a scorcher of a day!